Carmen, a new work for Rome Opera Ballet by Jiří Bubeníček will receive its world premiere this Saturday, 2 February, and runs until 10 February. It’s an honour for me to have a great artist, and fabulous dancer and now a young and successful choreographer like Bubeníček, to present his Carmen, a new creation with a new sets and costumes, having its world premiere here in Rome’s Teatro Costanzi. Interpreting these characters is a great opportunity for the growth of our company. Also, to have with us for two months a guest of the calibre of former New York City Ballet Principal Dancer, Amar Ramasar, is a true gift. Ramasar will play Don José with company Principal Rebecca Bianchi as Carmen. Bianchi has already danced Carmen in Roland Petit’s much-performed version, a role in which Abbagnato herself has often shone in at the Paris Opera Ballet. The sets and costumes are by Gianni Carluccio and the costumes by fashion designer Anna Biagiotti. Bubeníček has gone back to Prosper Mérimée’s 1845 novella so there’s no Escamillo but instead the character of Lucas, danced by Alessio Rezza, and also Garcia, Carmen’s husband, played by Claudio Cocino. The ballet is in two acts with music by Georges Bizet, but it also uses music by Manuel de Falla, Isaac Albéniz, Mario Castelnuovo-Tedesco as well as original music by Gabriele Bonolis who has also arranged the score. Gianni Carluccio’s sets allow for the story to be told in flashbacks as well as flashforwards, incorporating projections in his scenery. A second cast sees Susanna Salvi, Claudio Cocino, Michele Satriano and Gaetan Vermeulen in the leading roles. The Rome Opera Theatre orchestra is conducted by Louis Lohraseb. World premiere: 2 February 2019, 8pm. 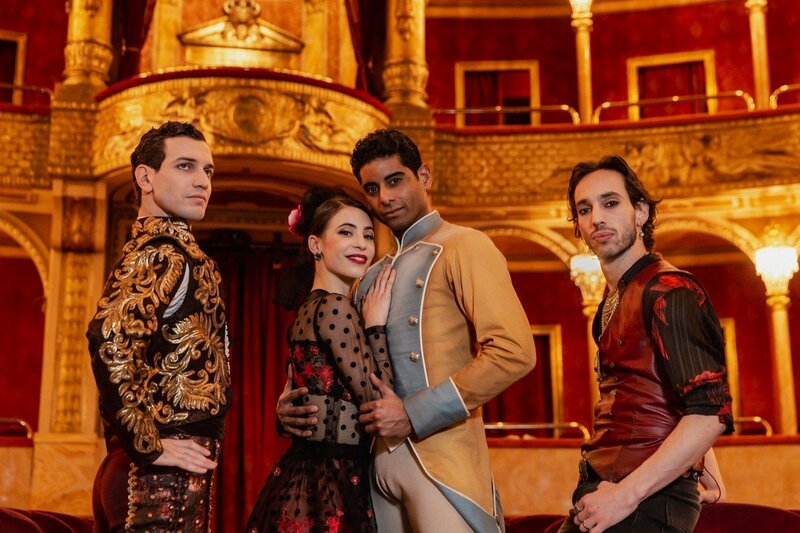 Carmen and Carmen …music and plot are very appealing but there are so many other ballets from 19th century which were created by Perrot for example and are so beautiful and could be restaged with a modern touch! Something different is needed in classical Ballet. Surprising to see that male dancers expelled or who resigned from companies for sexual misconduct land on their feet in other companies, i. e. Ramasar from NYCB and Gomes from ABT now at Sarasota Ballet. it is heartening in this day and age to see that Amar Ramasar still has an opportunity to share his prodigious talent with people open minded enough to hear his side of the story ! !